Approx. 23" around by 15" long. 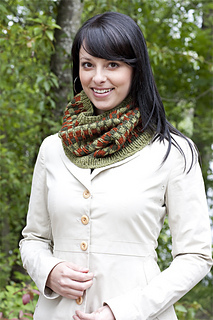 This simple 3-color slip-stitch ridge pattern creates a beautiful and easy-to-knit cowl. The dense, checked fabric is warm and toasty, providing a bright pop of color (or subtle shading, depending on your color preference) around your neck or over your head. 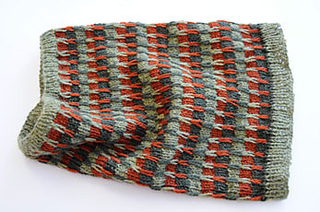 The slip stitch check pattern produces an eye-catching effect, adding texture and interest to the garment. The easy-to-remember instructions make this a perfect introduction to slip stitch color patterns. Requires one skein each of 3 colors.